Anyone working within construction across most of the UK these days has learned to live with bad news. The industry recorded the highest number of profit warnings last year since the Great Recession, with the East Midlands issuing by far the highest proportion. Uncertainty surrounding Brexit, acute labour shortages, falling demand, and the devaluation of the pound have all contributed to a “perfect storm”, which could very well plunge the industry into recession again. Certain sectors of the construction industry have been flirting with negative growth since 2016 and it is unlikely that 2019 will provide them with much relief. British construction has enjoyed only meagre growth since 2008 and it is entirely possible that a cataclysmic economic downturn could be enough to finish the industry off once and for all. Let’s take a look at the numbers and the facts to see whether UK construction truly is in terminal decline. As mentioned, one of the most significant challenges that will decide the future of UK construction is the country’s scheduled departure from the European Union. Much of the industry relies heavily on the free movement of labour, particularly from Eastern European countries. Equally important is the free movement of goods; a number of British construction CEOs have already sounded the alarm over potential disruption to supply chains after Brexit that would simply grind construction work to a halt. On top of this is the continuing devaluation of the Pound, which has made imports significantly more expensive, especially for larger companies. How the next few months play out could decide the fate of British construction permanently. There are a number of threats in the future which could facilitate the decline of British construction. One of these is automation, which might actually improve output, but will almost certainly decimate the availability of construction jobs. As Lottoland points out in their comprehensive list of jobs which won’t exist in the future, technological advancements in fields such as robotics and AI are making manual human labour increasingly redundant. Soon, it could be the case that human beings are no longer needed on a construction site at all. On top of this, UK construction needs to be able to stay competitive against threats from overseas, with companies from the US and China presenting a major threat. Only significant investment in R&D and technology will keep UK construction competitive in the future. These all present grave threats to an already weakened industry. However, this doesn’t mean that the end is imminent. Much of the onus lies with the UK government as well as with the heads of the industry. 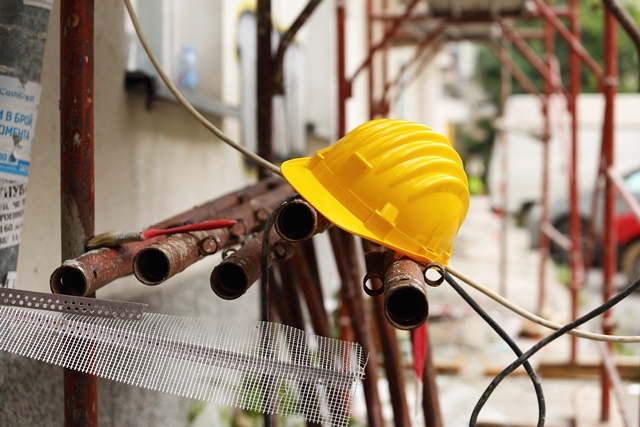 For one thing, the government should be making arrangements to guarantee the continued supply of labour from either Europe or beyond, as there simply aren’t sufficient numbers of construction workers in the UK to meet demand. More should be done by the industry itself to improve profits and competitiveness, particularly when it comes to public-private partnerships. If disasters like the Carillion collapse have taught us anything, it’s that the industry needs to focus more on the quality of output than the profits of shareholders. The next few years will be very trying for the UK construction industry. However, with the right response the industry could not just survive but thrive. How that response actually plays out will be worth watching.